This board is a -10 volt reference with remote sense. It can source 40 milliamp and sink 90 milliamp. 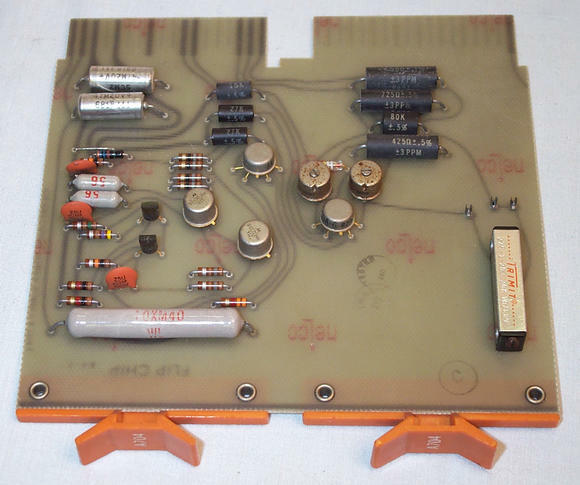 Load regulation and ripple is .1mv and 4 mv accuracy over 0 to 50 degrees C.
This board cost $184 in 1968.